1) In this very brief interview, I would like to thank you, Ms. Woodhouse, for your very kind availability. I would like to discuss with you, as Deputy Director of the Society for the Prevention of Cruelty to Animals (SPCA) in Hong Kong, about animal legal protection in Hong Kong and China. In fact, as far as I know, there are two jurisdictions under the principle “one country, two nations” with different legal provisions. In Hong Kong, I found several norms addressing this issue. They punish the abuse, the neglecting behaviour, the fighting and the cruel importation of animals with a maximum fine of HK$200,000 (less than 20 thousand euro) and a maximum imprisonment of three years. These norms say nothing about concrete enforcement and culture in this city. May you provide some concrete legal cases about animal protection in Hong Kong? What is your assessment of the system as a whole? In Hong Kong the current system does work quite well, however, as in many countries, there is always room for improvement. Enforcement relies on detection and detection relies on reporting. Animal cruelty cases are investigated by the Criminal Investigation Department (CID) with the police, they may also be investigated by the Agricultural Fisheries and Conservation Department (AFCD). Cases range from owners hitting dogs with sticks as punishment, to strangers throwing items at dogs, to severe neglect and physical abuse or even killing animals inhumanely. These cases have all been prosecuted. We only altered the max sentence and fine under the law in 2006 and for a while the penalties were still low – a few thousand dollars and community service orders were the usual types of sentences. It took several years before the penalties started to increase, but they are still relatively low when compared to the maximum. This is our information on the past two years actions that the SPCA has been involved in. There might have been more that were just handled by the police or by the AFCDlthough this department tends to focus on other legislation such as animal trading. A prosecution instigated does not mean that the case proceeded to court as some will have had advice on not proceeding, or the culprit could not be found within six months of the crime. In HK we have a six month time bar so unless we can find the culprit and charge them within six months, the case automatically is dropped. I believe that to date six months is the longest custodial sentence passed (though that may have been reduced on appeal) and the maximum fine is around 60,000 HKD. The main problem is that whilst the fines were adjusted in 2006, the content of the law wasn’t, so we have a law that was drafted in 1935 as our primary piece of animal protection legislation which doesn’t set very high minimum standards of care and is out of step with people’s expectations. This causes a problem as people see animals in situations that they think are not right but no actual law has been contravened. 2) Also in China, the authorities currently pass provisions aimed to protect animals. For example, there is an interpretation of 2014 on the Criminal law of 1997, which put eaters of rare animals, such as giant pandas, golden monkeys and Asian black bears, in jail from 5 to 10 years. However, in traditional Chinese cuisine and medicine, rare animal parts, such as tiger bones, shark fins and rhino horns, are used. Are these practices legal in Hong Kong? May you share with us the main systematic differences between these two legal systems? HK is a signatory for CITES (Convention on International Trade in Endangered Species) so that for such species import and export is regulated. Unfortunately, local domestic trade of ivory is permitted which is problematic as it allows for laundering of illegal ivory through trade and also a lot of the ivory is bought by tourists. Possession of rare animal parts is mostly illegal in HK – i.e. tiger bones and rhino horn. Sharks fin is allowed but not the import of species protected under CITES (or at least it would have to be CITES compliant). HK also has legislation that protects local wild life but some species are more protected than others under this system. 3) Animal protection is not only the recognition of rights to a living creature (legally it is possible to protect them without the recognition of any right), but it involves also economic and sustainability issues. On the one hand, animals are a profitable business, on the other hand there are big concerns about the sustainability of a food system based on animal meat, especially in a very populated country as China. Furthermore, it is possible to kill animals for food without excessive cruelty. What is the point of balance in Hong Kong and China regarding these very divergent interests? Do you think that these countries are investing enough in alternative food resources? I personally believe that there is not enough promotion of non-animal based food products. Some of China’s recent focus has been on food security and on how to meet the growing demand consumption of meat. Thus the focus has been to some extent a move to more industrialised forms of farming as they are more efficient which means systems in place may focus on efficiency of operations rather than the needs of the animals. In China, the balance is more in favour of the domestic animal as a production unit. However, there is recognition amongst some farmers that production is enhanced when there is good welfare. In Hong Kong, on the surface, there is more of a consideration of the animals’ needs and wants but there is very little farming in Hong Kong and also this consideration may not translate into consumer choices – there are definitely some paradoxes in Hong Kong. There is an interest in organic produce that is seen as a healthier option but many consumers are not prepared to pay the price differential when it comes to higher welfare animal-based products. Wet markets also exist in Hong Kong with live chickens, fish, reptiles and amphibians being held in very poor environments before finally being slaughtered for food. In addition, HK consumer prefers ‘warm meat’ where the animals are slaughtered on a daily basis and the meat is sent unchilled straight to retail outlets. This means that millions of animals are transported into HK on an annual basis to be slaughtered. The conditions during transport are very poor and the animals will travel hundreds if not thousands of miles – much suffering is caused but it is considered problematic by authorities to tackle such a ‘cultural’ issue. 4) Thanking you again for your time, I would like to conclude this interview asking if think that legal norms could be enough to protect animals. What is the importance of developing a sensitive culture? May you provide some example according to the experience with SPCA? Developing a sensitive culture is very important as it drives change, supports legislative reform and aids with enforcement. If people can be educated and then recognise that animals are sentient, feel pain and suffer in certain situations and that simple (or not so simple) measures can be introduced and that these can make a big difference to the lives of animals, then they will support campaigns for change in legislation as well as hopefully change their personal behaviours. 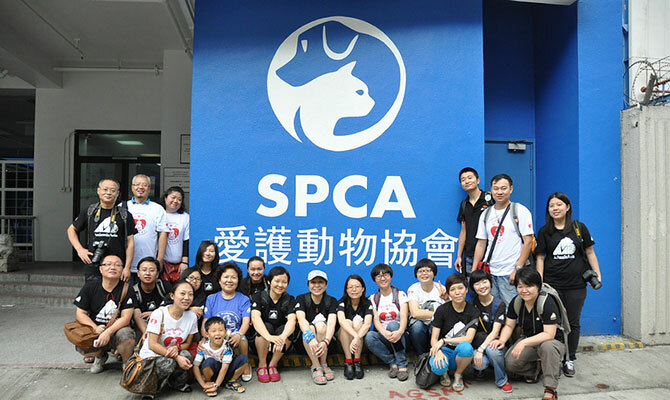 In terms of our experience, animal welfare issues receive much attention in HK. Most of our reported cases of suspected animal cruelty are referred by members of the public for our investigation. We receive around 38,000 calls to our hotline about animal welfare-related issues each year. One recent incident that highlights the public concern was an incident in HK involving our rail system where a dog died after being hit by a train. It seemed that had different actions been taken the accident may have been avoided. Within a matter of hours the rail company had over 80,000 emails on the topic. http://www.spca.org.hk/en/, as available: 23 – 11- 2015.